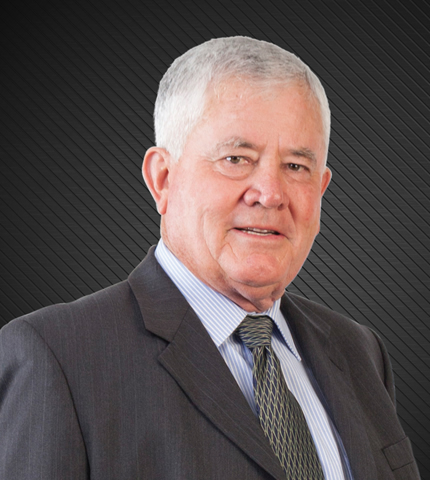 Keith is a qualified mining engineer with 48 years’ practical mining experience. He has managed some of the largest gold mines in the world. In 1984, Keith was appointed as general manager of Greenside Colliery and in 1986 moved to Kloof Gold Mine as general manager. In 1989, he was appointed consulting engineer for Gold Fields, South Africa, including Doornfontein Gold Mine, Driefontein Consolidated Gold Mine, Greenside Colliery and Tsumeb Base Metals Mine. He also served as managing director of Driefontein Consolidated, chairman and managing director of Deelkraal Gold Mine and as a board member of all gold mines belonging to Gold Fields, South Africa. In 1999, Keith joined Metorex, first as a private consultant and later as a permanent member of the executive, managing the Wakefield Coal operations, O’kiep Copper Company, Barberton Mines and Metmin Manganese Mine. In 2001, Keith became operations director for Metorex.